Industrial Color Studios is a visual content production company with integrated offerings designed to support marketers, brands, agencies and the wider production industry with solutions for today’s digital commerce marketplace. Founded in 1992, Industrial Color provides services ranging from full image capture and e-commerce photography to production support to post services including creative editorial, color grading and CG. With offices in New York and L.A., Industrial Color has developed its own proprietary systems to support online digital asset management for video editing and high-speed file transfers for its clients working in broadcast and print media. The company has built a reputation as a leading, end-to-end visual content production provider, partnering with top brands, agencies and creative professionals to accelerate multi-channel creative content. Click 3X founder Peter Corbett has co-founded numerous companies specializing in both traditional and emerging forms of media. These include Media Circus (a digital production and web design company), IllusionFusion, Full Blue, ClickFire Media, Reason2Be, Sound Lounge and Heard City. The latter two are not part of the Industrial Color Studios acquisition but the status of Media Circus, IllusionFusion, Full Blue, Clickfire Media and Reason2Be is still being negotiated relative to their relationship to Industrial Color Studios. A long-time member of the DGA as a commercial film director, Corbett emigrated to the U.S. from Australia to pursue a career as a commercial director and, shortly thereafter, segued into integrated media and mixed media, becoming among the first established film directors to do so. Known as a specialist in integrating video and digital production, Corbett and his companies have consistently been in the vanguard, both creatively and technologically, working in a range of disciplines across multiple media and distribution platforms. Projects produced at Click3X have been honored with assorted awards, including Cannes Lions, Clios, and Andy Awards. Click3X also was presented with the Crystal Apple Award, presented by the New York City Mayor’s Office of Media and Entertainment, in recognition of its contributions to the city’s media landscape. The added capabilities Click3X gives Industrial Color in video production and new media mirrors its growth in the field of e-commerce photography and image capture. 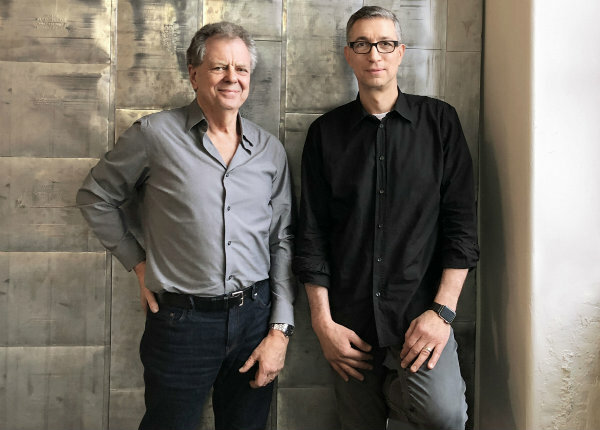 The company has recently opened a new 30,000 square-foot studio in downtown Los Angeles designed to produce high-volume, high-quality product photography for advertisers. That studio complements the company’s existing e-commerce photography hub in Philadelphia, making it a major resource for marketers utilizing every aspect of the web to drive sales.